Roch Mechatronics Inc offer's a new series of high performance gas chromatographs and application specific analysis solutions that offer faster separations and increased confidence in results for the broadest range of GC analysis needs possible. The family consists of two GC models and an associated range of analyzers and solutions designed for both standard analysis needs as well as user specified from Varian. 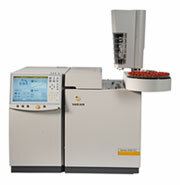 We also offer GC/MS, LC/MS RAMAN etc. Minimum size with maximum accuracy. Calibration through EN ISO 8655. Beautiful color coded for easy volume identification.